Recently, I began looking for a indoor total body trainer to use on days when I wasn’t working out with one of the many programs I do, like Hammer and Chisel & P90X3. 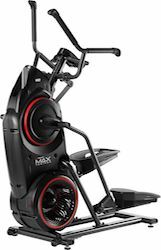 I settled on wanting to buy a Bowflex Max Trainer because it was a great combination of cardio blast plus muscle fatigue, all in one machine. Then, I have to decide which version that would best suit my needs between Bowflex Max Trainer M3, M5 & M7. 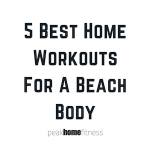 There are some key differences that I looked at to decide which was the best workout equipment for me and my family. A lot of people will look at these trainers as just an ellipticals, and wonder whether it is worth the higher price tag. After diving deep into these machines and finally purchasing one for myself, I can tell you that they are way more than the elliptical you might find at your local gym. 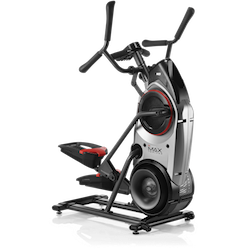 Bowflex is one of the most well-known companies in the fitness space for a reason, and these Max Trainers are made with quality materials, feature extended warranties, and deliver on the kind of workout you want to burn fat or build muscle. 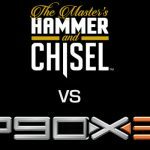 I am a big believer in at home workouts like P90X & T25, but I also believe that there are a lot of ways you can introduce great pieces of equipment like the Bowflex Max Trainers to amp up your fitness regime that much more! While we’d love to pick a machine without looking at the price tag, cost is obviously a huge consideration when choosing the right machine for you. There is a significant gap between each Bowflex Max Trainer. Of course, there are significant upgrades you get as you move toward the M7, too. The base construction is the same for each model, but as you move up from the M3 to the M5 to the M7, you will see an upgrade in pedal and grip material. The Bowflex M3 doesn’t have heart rate monitors built in, but does allow for monitoring by using a chest strap that comes with the purchase of the machine. The M5 & M7 do have built in heart rate monitoring, but also comes with chest strap. First, it’s important to know that as you move up from each model, there are added resistance levels. Each Bowflex Max Trainer comes with two program modes: Target Mode and Performance Mode. Again, as you move from M3 to M7, there are more programs within those program modes. Ultimately, it comes down to how much you’ll use the Bowflex Max Trainer and how much information you’ll want to pull from your workouts. I think the M3 is perfect for anyone who just wants to supplement their workouts. I ultimately decided to purchase the Bowflex Max Trainer M5 because I wanted to sync my workouts to the Bowflex app, and track my progress. 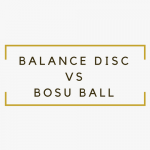 I was able to test each of these trainers, and can verify that all the positive reviews I found online about the quality of these machines was accurate. They feel stable when you are aggressively working out, and they all fold up and are easy to move thanks to the wheels. 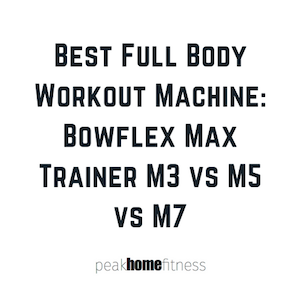 While I’ll always be a proponent of at home workouts, I have found that adding in some resistance, full-body workouts using my new Bowflex Max Trainer has given me solid results in a short amount of time, which is what we’re all after!